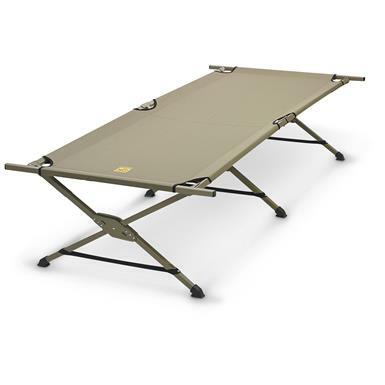 Sets up to 74.8"l. x 26"w. x 15"h.
Packs to 37.4"l. x 7.87"w. x 6.69"h.
Your portable ticket to a better night's sleep. 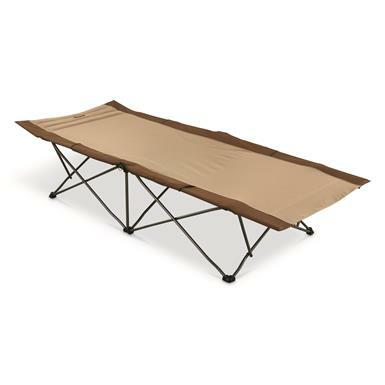 Expanded 32"w. x 90"l. sleeping area, 32 lbs. 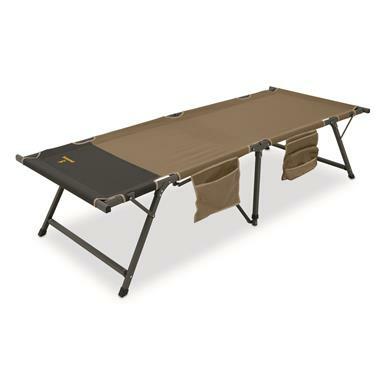 A more "elevated" camp experience. 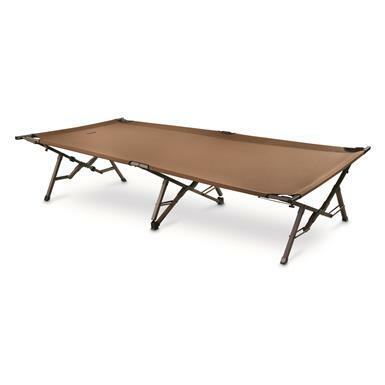 82" x 32" x 19"h., 27 lbs. 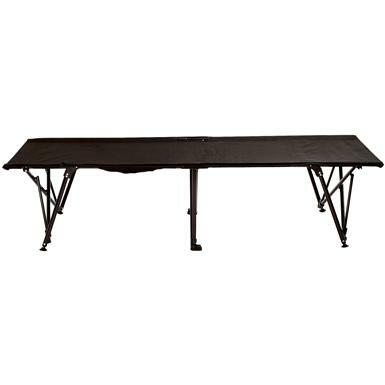 Measures 82"l. x 32"w. x 16"h. assembled, 20 lbs. 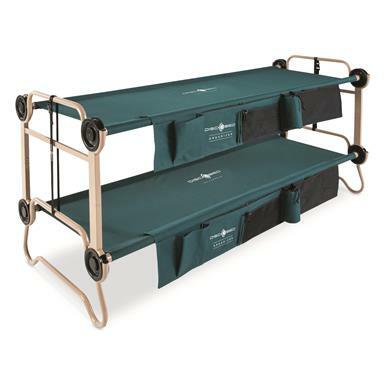 Sets up in seconds with simple, 2-pin locking frame design. 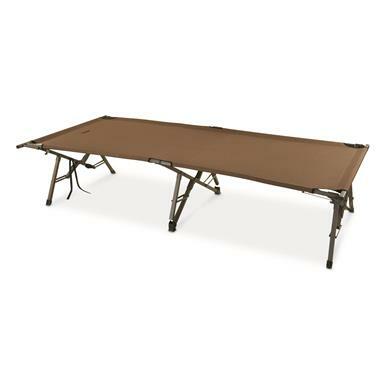 82"l. x 32"w. x 19"h., 28 lbs. 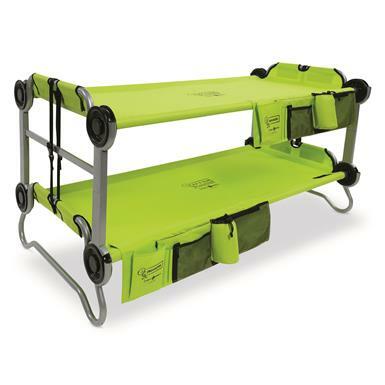 Extra-wide and versatile, with built-in storage. 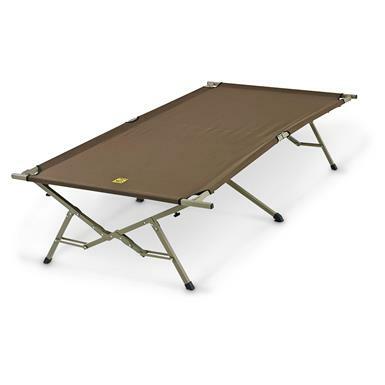 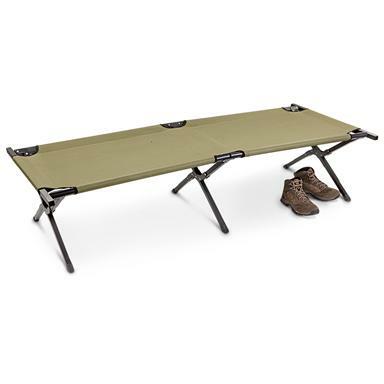 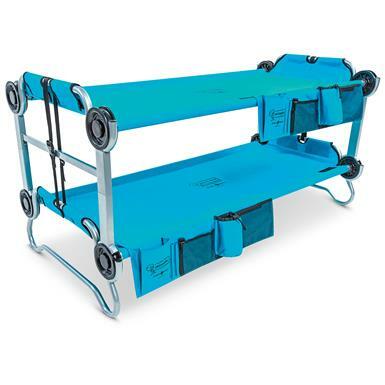 30"w. x 81"l. x 19.5"h.
Add comfort to your campsite. 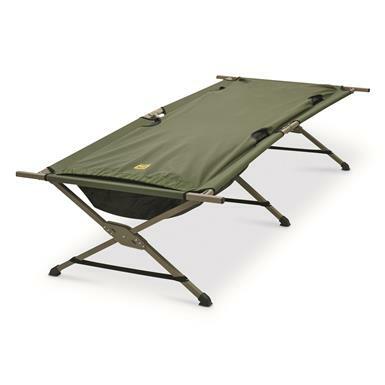 A scaled-down version of a great sleeping solution! 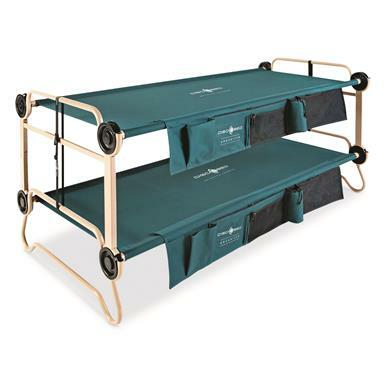 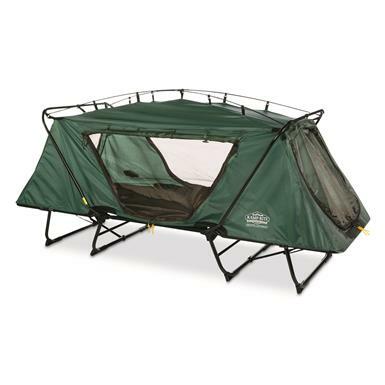 Versatile, oversized sleep space for 2, with built-in storage.